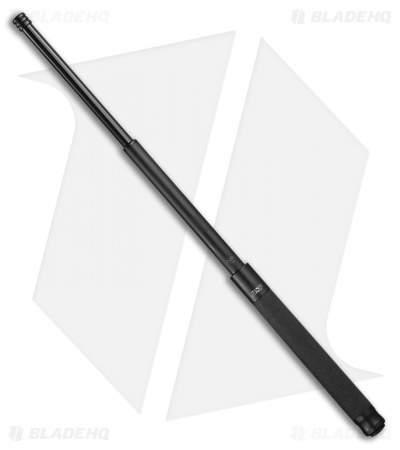 This intimidating baton offers an overall length of 26". It has an incredibly strong design that can be easily carried and rapidly deployed. The baton uses two opposing discs that fit into an internal groove for lockout that is simple, stable and secure. This model features black aluminum construction with foam grip handle.